Hey everyone, hope you are all set for post Diwali stuff! Happy Diwali/Shubh Deepavali! I know I am a bit late in wishing you all, I hope you all are not late for the same!! Speaking of which, I had a perfect bag to carry with my outfit, this Diwali. Thanks to Fab Bag! 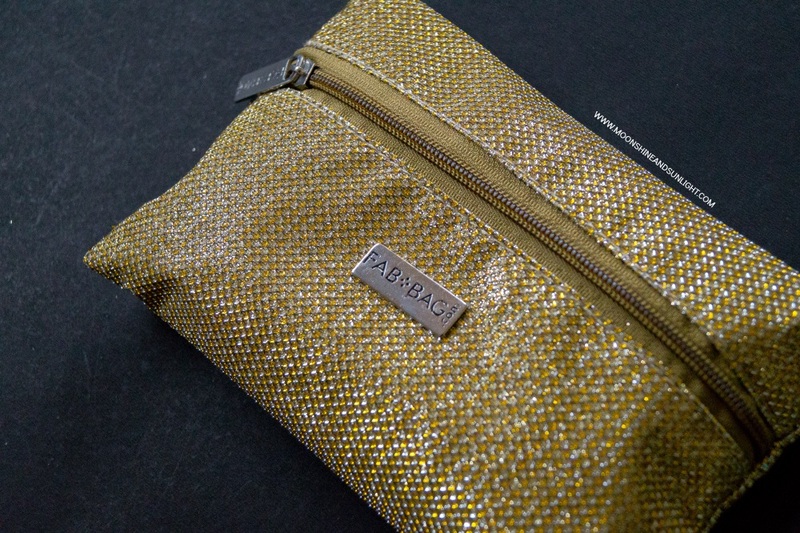 It’s a super glittery, golden pouch! I know I am very late in putting up the review this month, but here is the review of “The Steal the Limelight” October Fab Bag. Every month end I receive a mail from Fab Bag team, asking me to choose a product and quite honestly I wait for this mail. This time I chose a brow product from Sugar Cosmetics. Let me tell you what else I received! I have used this face wash before and I absolutely love it! Super happy to receive this! I am all into sheet masks currently and this looks very interesting. Will keep you guys updated! 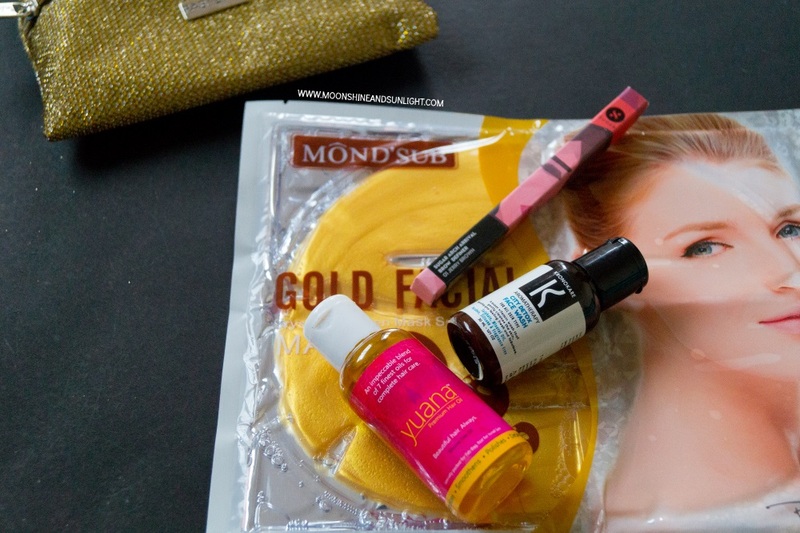 This is a sample size specially packed for Fab Bag. This is free of a lot of things I keep a tab of these days, like silicone, parabens, etc. I have fallen in love with Sugar cosmetics, because the quality of their products is really great for the price! Really looking forward to trying this. All in all, 4 products in the box have a great variety and I am super excited to try all of these ! The value of the contents is more than the bag, which is something to be expected nowadays! Great Job Fab Bag Team!